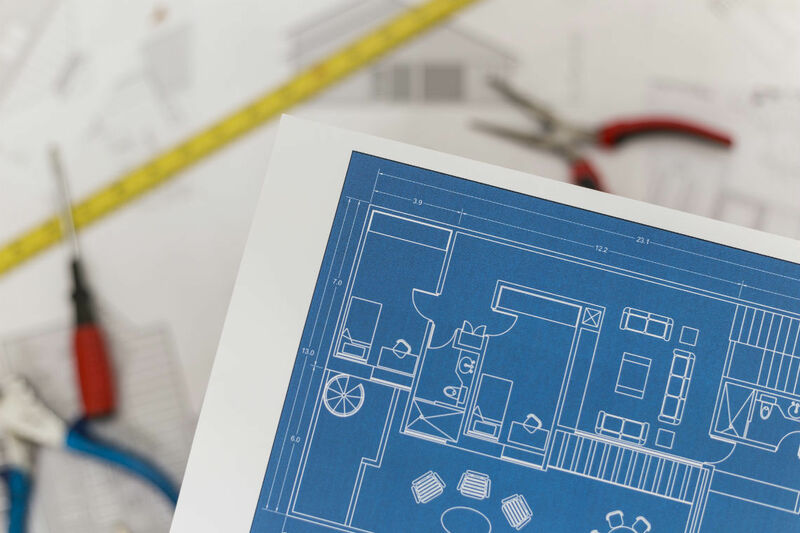 Remodeling the public restroom in your store or place of business in the Midwest can be a tedious and extensive project for you, not to mention an inconvenience for your clientele. The need for public restrooms does not disappear when the remodel project starts, so having a clean, efficient and attractive temporary restroom is a must. 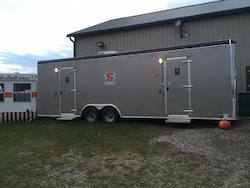 A restroom trailer will also ensure that your project can move forward quickly, avoiding the need to work on one restroom at a time so that one is available to the public. Our ADA Handicap Bathroom Trailers are the perfect solution for your store bathroom remodel and can handle up to 350 visitors a day. We have various models to meet your needs, whether you need just two restrooms, or many. The wood grain floors, Corian counter tops, heating and air conditioning and lovely décor will make your customers feel right at home, while keeping your store or place of business up to expected convenience standards. Contact us today to request one of your restroom trailers for the duration of your store remodel, and never miss a step in your project! 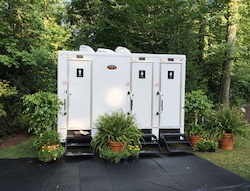 Complete with wood-grained floors and beautiful granite-like counter tops, this luxury restroom trailer will be the talk of your next big outdoor event, whether you're in Michigan, New York or somewhere in-between. 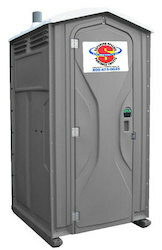 Perfect for job sites, parks, ball fields and festivals, our standard porta potty units come with mounted hand-sanitizers and 60-gallon waste tanks - some of the largest in the industry. Our Crowd Pleaser is the answer for concerts, outdoor parties and other large events in Ohio and its surrounding states. You'll find our portable toilets and restroom trailers in and around Northeast Ohio. Here is one of many customers we've proudly served. Building a new home can be a long process.